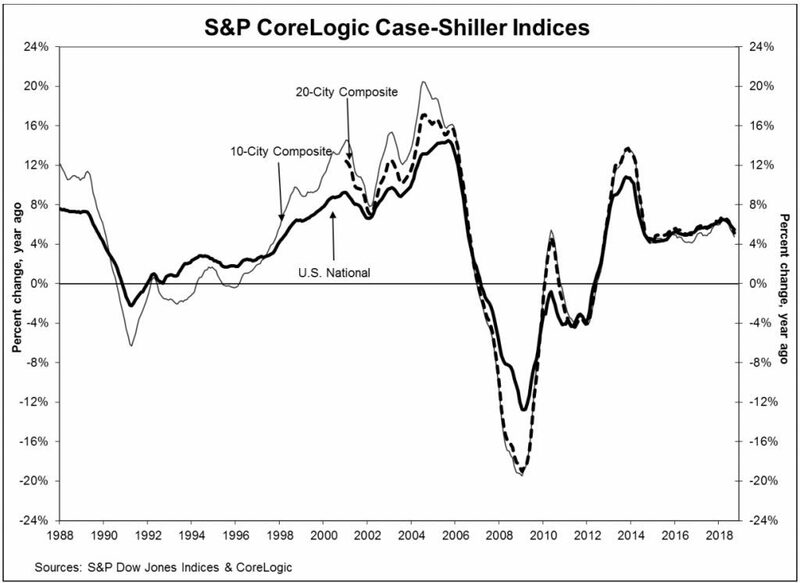 Home price gains slowed to 5.5 percent in September, year-over-year, according to the latest S&P CoreLogic Case-Shiller National Index. 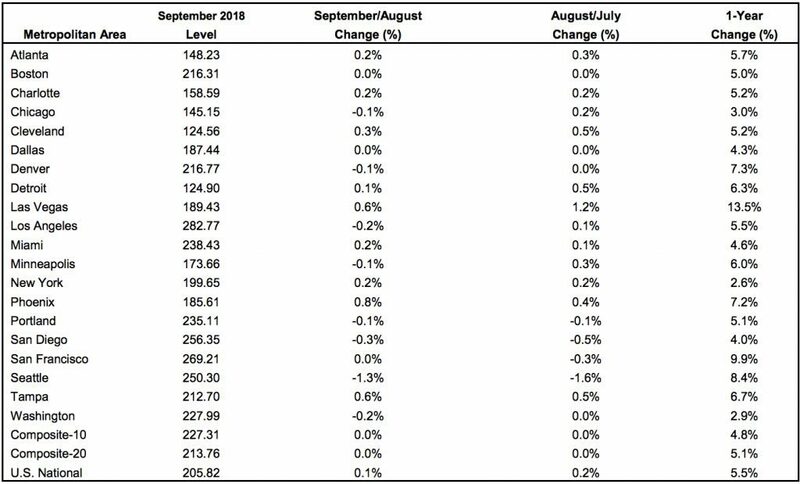 Year-over-year growth was down from 5.7 percent last month and the second time in 12 months price gains fell under 6 percent. The western region led the way in gains, with Las Vegas up 13.5 percent year-over-year price, followed by San Francisco with a 9.9 percent increase and Seattle with an 8.4 percent increase. This is the second straight month where price gains in Seattle fell below 10 percent, after years of leading price growth among the cities tracked, according to Cheryl Young, senior economist at Trulia.